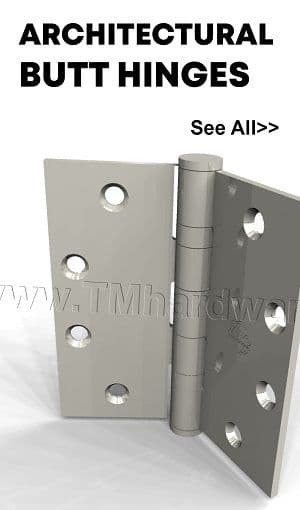 Security Astragals are applied at the gap along the full door height, either between two double doors, or between the door and the adjacent jamb to prevent prying, tampering and manipulation of the door. 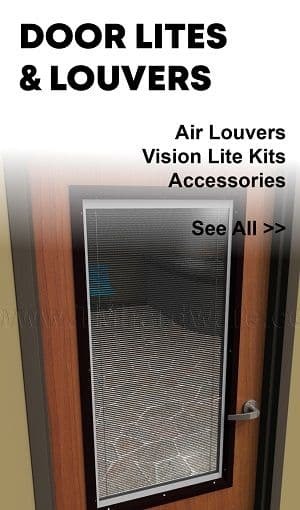 These astragals are excellent for vulnerable doors, such as classrooms and auditoriums that open into an exterior area. NGP 1392SP security astragal is surface applied to the face of a single, outswing door to cover the gap between the door and jamb. The security aspect of this seal prevents tampering, prying and manipulation of the door, ideal for doors that open into exterior area. Available in prime coat steel and length is custom cut to size. This Overlapping Meeting Stile System is surface applied to the face of a double door to cover the gap between two doors. 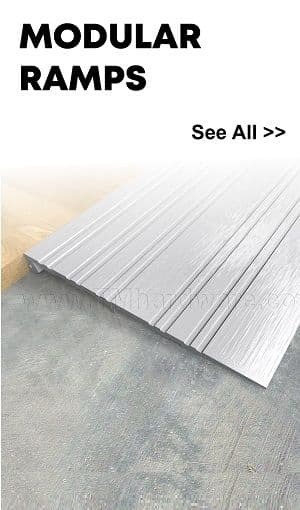 The metal strip is 2" x .125" and can be applied with an optional Silicone Teardrop Weatherstrip for better sealing properties. 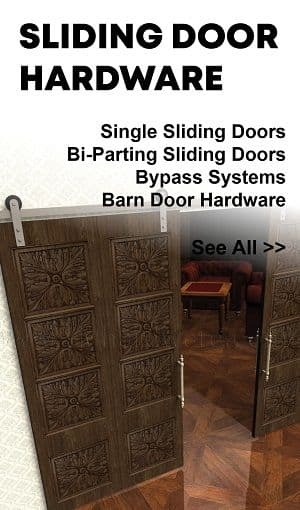 It is designed for Single Active Doors in a Double Door Set. 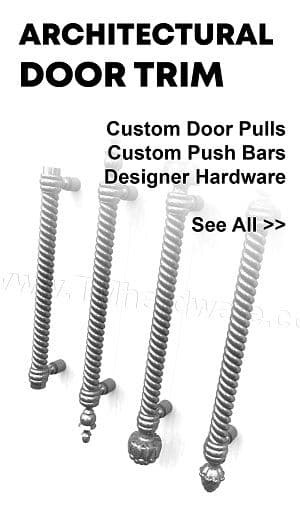 Available in Steel Prime or Stainless Steel, with a choice of fasteners, and is custom cut to size. This security astragal is surface applied to the face of a single, outswing door to cover the gap between the door and jamb. The security aspect of this seal prevents tampering, prying and manipulation of the door, ideal for classroom and auditorium doors that open into exterior area. Available in steel variations, including stainless steel, with or without drilling, and is custom cut to size. Note, this product is custom cut to size, with a minimal fee for trimming included in price below. Stock sizes 80", 84" and 96" do not have trimming fee included in price. Zero #43 Surface mounted security astragal for single active doors provides secure air-gap closure for the space between a double door application. The security aspect of the seal prevents tampering, prying and manipulation of the door. 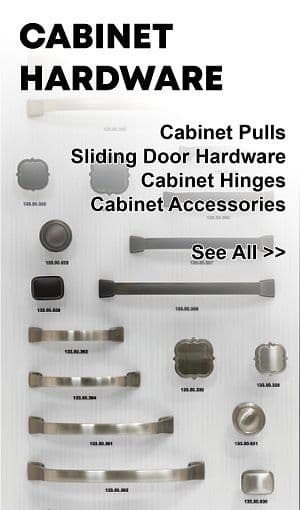 Available in fire rated steel prime and stainless steel and is custom cut to size. This Zero #1840-41 Sponge Neoprene and Brush Meeting Stile provides great weatherstripping properties to a single-active wooden or metal door in a double set. Due to the position of the screws, the set is tamper-proof when the door is closed. Available in two anodized finishes and is custom cut to size. Note, This product can be ordered as a set, which includes both the Sponge Neoprene and Pile Brush Stile, or each component separately. Select from options below. 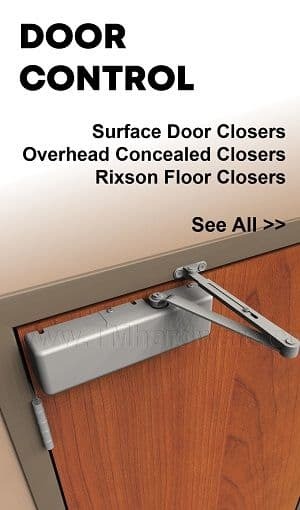 This Automatic Security Astragal is applied to Metal or Wooden Single Active Outswing Doors to seal the gap between doors and discourage manipulation of panic type door hardware. When closed, astragal is held flush against the opposite door by a 1/2" cam (included). Astragal is activated with an internal stainless steel operating spring. Made of anodized aluminum with a vinyl seal. 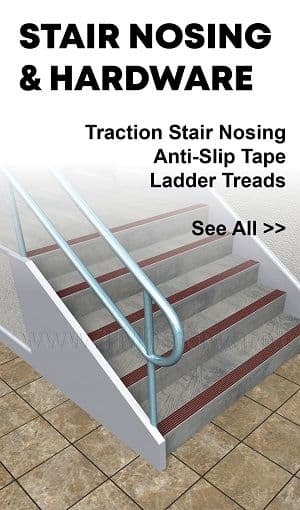 Available in lengths of 86" and 96", and can be trimmed on the field up to 12" from each end. Reduce energy waste and halt the passage of heat, drafts, sound, light, insects, and dirt between adjacent environments with quality door seals. 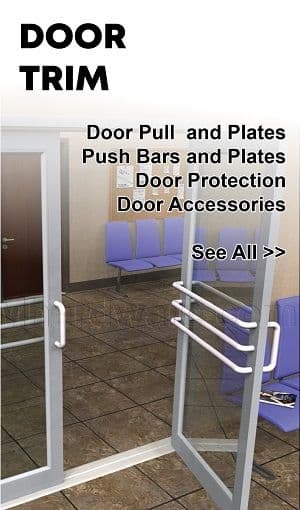 This Double Seal Meeting Stile for 1.75" thick, single active, double in-swing doors seals the midline gap and is fitted with slide bolts which lock one of the doors in place. 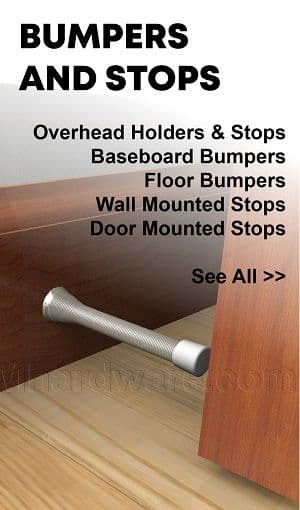 This Meeting stile has both mortised or surface mounted applications, offers two seal options, and comes in six aluminum variations to match room decor. Custom cut to size. You can cut down on energy waste and stop the passage of drafts, heat, sound, and other unwanted elements between adjacent environments with quality door seals. 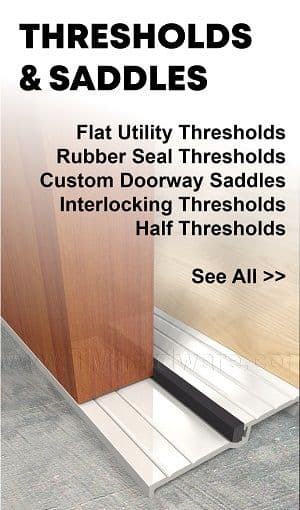 This Meeting Stile, designed for 1.75" thick, single active, double in-swing doors, seals the midline gap with a foam Kerf-in seal as well as a pile brush seal. In addition, it has slide bolts that lock one of the doors in place. Available in five aluminum variations to match room decor. Custom cut to size. You can cut down on energy waste and stop the passage of drafts, heat, and sound past your doors with quality door seals. 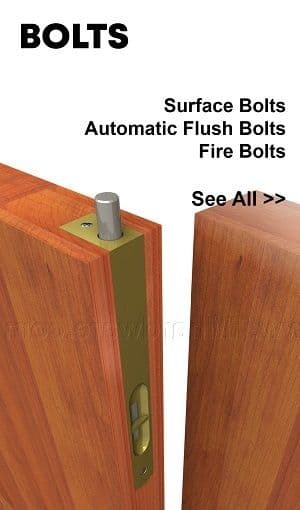 This Meeting Stile, designed for metal faced, 1.75" thick, single active, double in-swing doors, seals the midline gap with a magnetic Kerf-in seal. A thermal break in the metal further inhibits the passage of temperatures between environments. 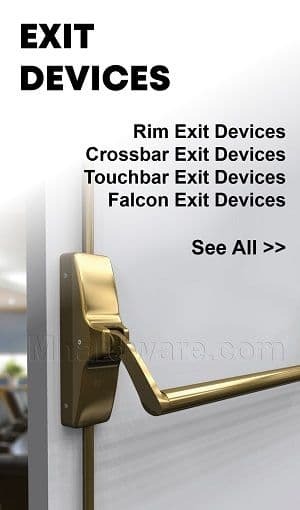 In addition, it has slide bolts that lock one of the doors in place. This Meeting stile has two mounting applications in three aluminum variations to match room decor. Custom cut to size. 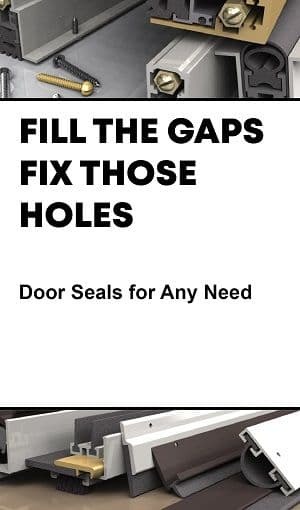 You can cut down on energy waste and stop the passage of drafts, heat, sound, and other unwanted elements between adjacent environments with quality door seals. This Meeting Stile, designed for metal faced, 1.75" thick, single active, double in-swing doors, seals the midline gap with a magnetic Kerf-in seal. In addition, it has slide bolts that lock one of the doors in place. This Meeting stile has two mounting applications in four aluminum variations to match room decor. Custom cut to size. You can cut down on energy waste and stop the passage of drafts, heat, and sound between adjacent environments with quality door seals. This Meeting Stile, designed for 1.75" thick, single active, double in-swing doors, seals the midline gap with a foam Kerf-in seal as well as a pile brush seal. A thermal break in the metal further inhibits the passage of temperatures between environments. 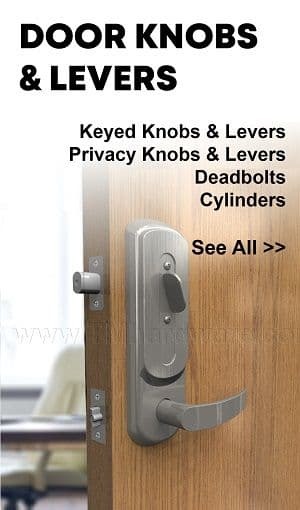 In addition, it has slide bolts that lock one of the doors in place. Available in three aluminum variations to match room decor. Custom cut to size. You can reduce energy waste and improve the sound barrier between adjacent environments with quality door seals. This Double Seal Meeting Stile for 1.75" thick, In-swing, single active double doors seals the midline gap and is fitted with a tamper-proof spring bolt that locks one of the doors in place. Meeting stile has both mortised or surface mounted applications and comes in three aluminum variations. Custom cut to size with additional customization options.